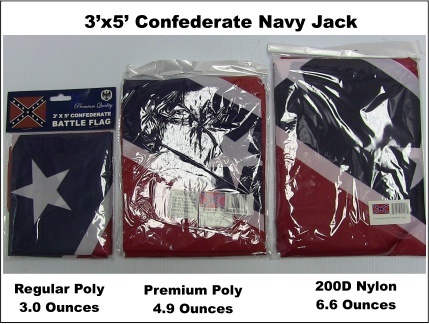 This was the Confederate Navy Jack from 1863 - 1865. It was also used as the battle flag for the Army of Tennessee. It is also mistakenly called "Stars and Bars" and/or Confederate Battle Flag. The "Stars and Bars" is the 1st National Confederate flag. With the exception of the Army of the Tennessee, Confederate regiments used square battle flags.